You must be a member of the London Beach Volleyball Group to attend this activity. Would you like to join this group? Snow is falling...We will be playing in the snow over a long weekend. Are you looking for join a ski group or meet other fellow skiers / boarders? 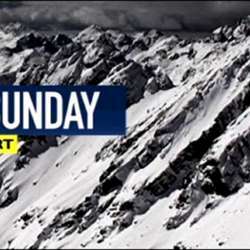 We will be meeting to watch Ski Sunday race & discuss ski plans. Please bring some trip suggestions. It's hosted by Ski Club of Great Britain. I am organising a get together with our group. Feel free to also join our FB chat group.